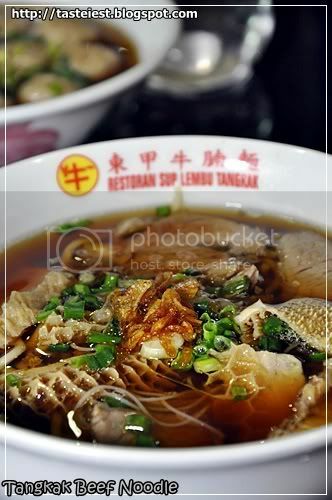 Tangkak is a small town located not far away from Melaka city, Tangkak famous for its Beef Noodle hence we must try it since we are here already. 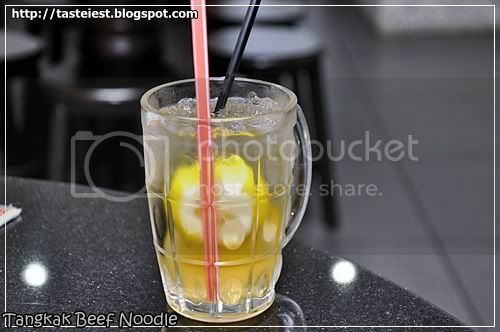 The shop is easily spot as it just located next to main road of Jalan Laksamana Cheng Ho. Restaurant is spaces and clean but quite hot as it lack of good ventilation and without air-con. Various type of combination are up for selection, you can choose any part such as Meat, Stomach, Tendon, Meat Ball, Intestines and Topedo. The chili is up to expectation, not too spicy instead it just on the right level. 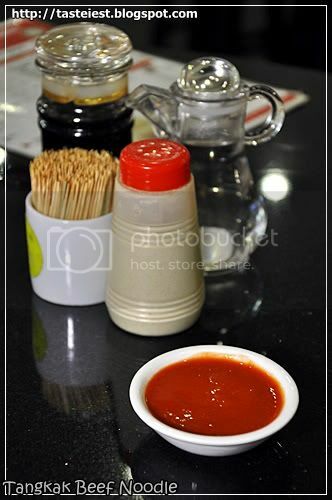 Vinegar is available to be add on if you like extra sourness for chili. 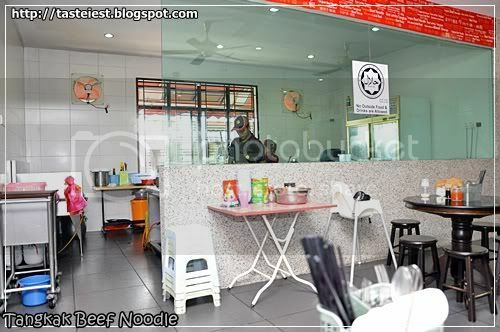 We ordered mix noodle RM6, it does include of Meat, Stomach and Tendon. 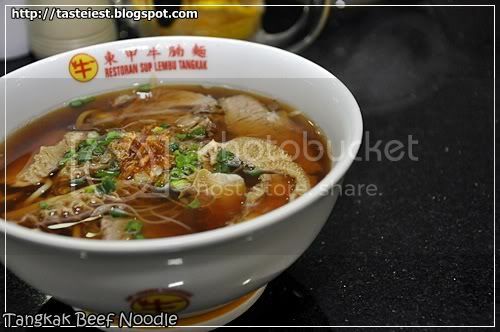 Soup is delicious and full of beef flavor, pork meat is well cook to create a soft texture and delicious. Stomach is a little bit chewy but still acceptable. 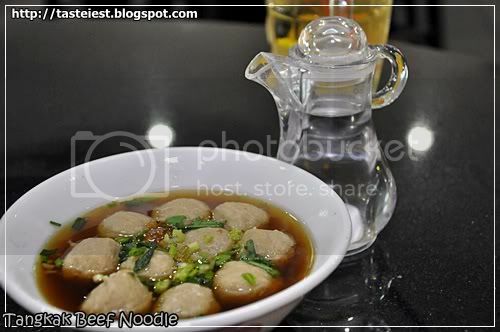 Add on bowl of Meat Ball, meat ball is just average as it taste like pork beef ball, it just lack of beef flavor. 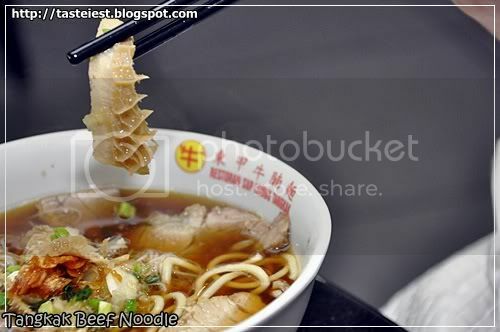 Overall it just acceptable but not too good, our favorite beef noodle still Petaling Street Shin Kee Beef Noodles（新九如牛肉粉）.